Pierre Morel is always well known for his wonderful narrative and fast actions. 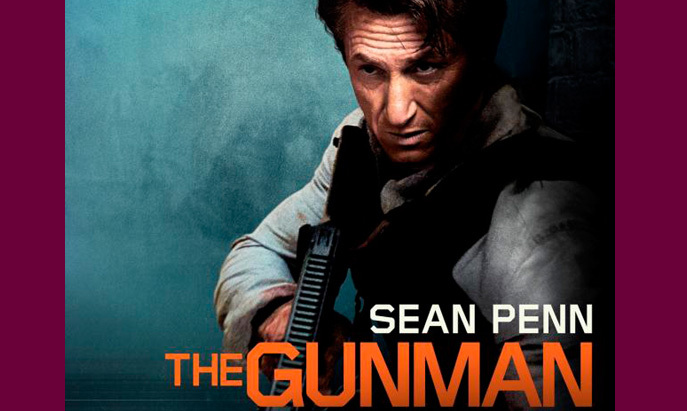 In the film the Gunman the director has teamed up with actor Sean Penn to offer the viewers a mature thriller. It has been quite a while since we have seen this talented actor on screen and that too in an action movie. Here in this film, Sean provides his performance with perfection. At the same time the Gunman is not a content less film on mindless violence. The plot of the film is quite interesting. Sean Penn plays a character named Terrier who leaves his family, home as he is paid to kill the mining minister of Congo. Then he goes in a hideout. When he comes back, some unfinished calculations wait for him. Shot in exotic locations, the film offers the viewers a visual treat. At the same time high voltage action sequences keep them at the edge of their seats. But wait, all is not gimmick. The relationship shown between Terrier and his wife is more intense rather than the action sequence. Wonderful editing, sharp dialogues and most important, the subdued treatment have made every movement and the dialogues worth enjoying. Not all films can hold the tension as promised. But in this Pierre Morel Thriller you are bound to get goosebumps. Most important, you cant miss the chance to see Sean in action. With appropriate background score and daring sequences, the Gunman is what your heart would crave for. If you are a fan of thrillers, this film is just the right choice for you. Satisfaction Guarranteed!